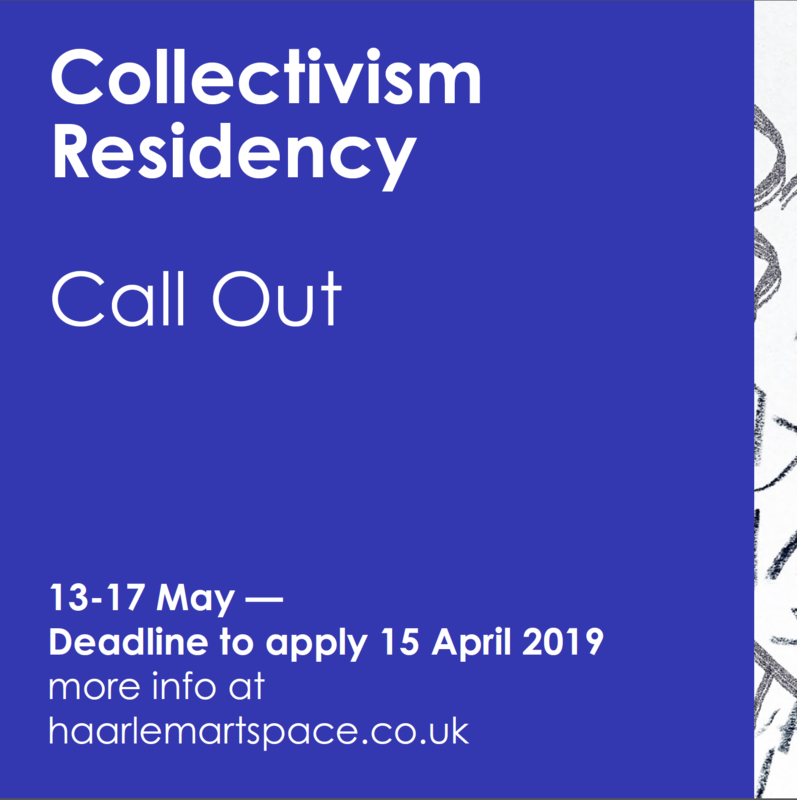 Open call for artists, writers, curators or researchers for Haarlem Artspace’s Collectivism Residency May 13 – 17, 2019. 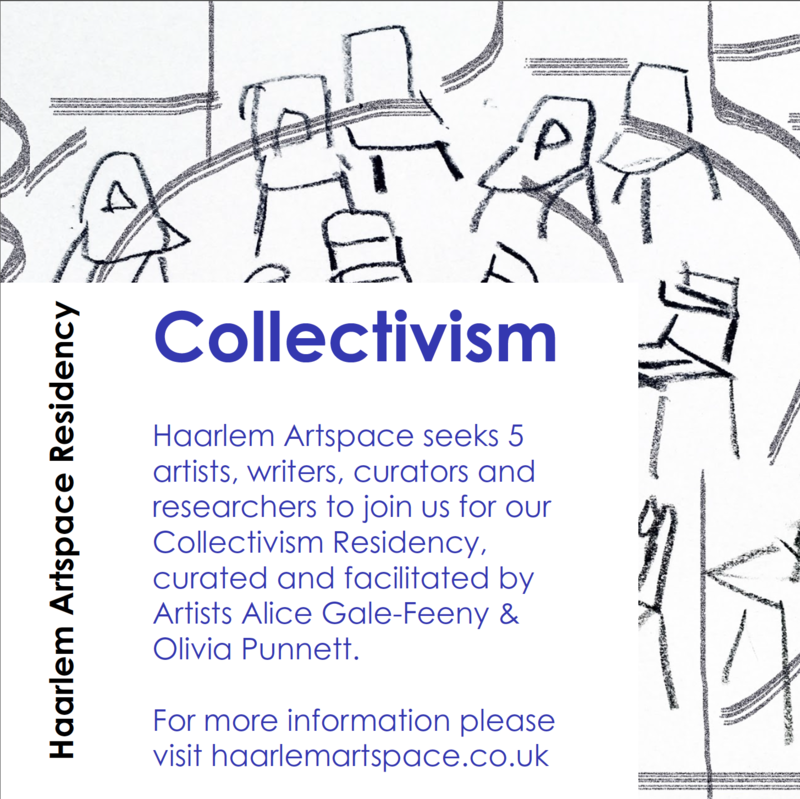 Haarlem Artspace is seeking five individuals to join us for our spring project ‘Collectivism’ which involves a four-day residency and one-day conference bringing people together for an exchange of ideas on the themes of collectivism, resilience and collaboration. The one-day conference Resilience through Collectivism will be the second Derbyshire Creative Heritage Conference, and is in partnership with Junction Arts. 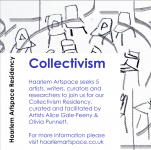 Haarlem Artspace (within Haarlem Mill) is based in Wirksworth, a market town on the edge of the Peak District National Park that once had a thriving lead mining and quarrying industry. The town has an unusually large artistic and creative population, in part due to the 25-year history of its annual Wirksworth arts festival, which now attracts more than 4000 visitors each year. There is a distinct community ethos here, and the town is very much a creative hub with a strong sense of place. Activities undertakenon the residency can include anything the individual would like to work on within the spirit of the themes. This is an opportunity to share your work with other people and work in the context of a vibrant shared-studio space. You may equally have a specific project that you want to carry out over the week. We would like one of the participants to document the residency. No files above 5mb please. The residency is open to those working in painting, drawing, printmaking, sculpture, performance, photography, installation, collage, textile, mixed media, film, digital and writing mediums, as well as researchers and curators. This residency is being supported by Arts Council England and by British Council. It is part of our British Council DICE project (Developing Inclusive and Creative Economies) focussing on strengthening enterprises that empower women and girls, foster youth employment and empower disabled people and other marginalised groups. We will need to ensure that 3 of the 5 selected artists fit this DICE criteria. On submission, please state on your application if you meet the above criteria, and how you meet it. If you are applying and you don’t meet the above criteria, please let us know that you are applying for one of the 2 places that are not reserved for women, young people (between 18-35), disabled or another marginalised group. Artists must be over 18 years of age. The selection panel will include residency facilitator Alice Gale-Feeny, Artist, Curator & Haarlem Artspace Director, Olivia Punnett, Director of Instituto Procomum, Georgia Nicolau, and our conference partner and Managing Director of Junction Arts, Paul Steele. Selected individuals are welcome to ‘camp’ inside the studios for free; please get in touch if you wish to do this. Alternatively, you can arrange private accommodation. Do let us know if you would like some local recommendations. Please make sure you are prepared for our rural surroundings with weather proof clothing etc. You are welcome to bring pat-tested electricals or other art equipment with you. 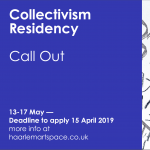 Eligibility: The residency is open to those working in painting, drawing, printmaking, sculpture, performance, photography, installation, collage, textile, mixed media, film, digital and writing mediums, as well as researchers and curators. This residency is being supported by Arts Council England and by British Council. It is part of our British Council DICE project (Developing Inclusive and Creative Economies) focussing on strengthening enterprises that empower women and girls, foster youth employment and empower disabled people and other marginalised groups. We will need to ensure that 3 of the 5 selected artists fit this DICE criteria. Accommodation: Selected individuals are welcome to ‘camp’ inside the studios for free; please get in touch if you wish to do this: liv@haarlemartspace.co.uk. Alternatively, you can arrange private accommodation. Do let us know if you would like some local recommendations. Equipment: Please make sure you are prepared for our rural surroundings with weather proof clothing etc. You are welcome to bring pat-tested electrical or other art equipment with you. Documentation from the residency will be shared on Haarlem Artspace's Digital Platform after the residency and conference. The Collectivism residency selection panel will include: Alice Gale-Feeny, residency facilitator, Olivia Punnett, Curator & Director from Haarlem Artspace, Georgia Nicolau a Director from Instituto Procomum and Paul Steele the Managing Director of conference partner, Junction Arts. Successful Applicants will be contacted by Mon 22 April at the latest.